Is the Work of God So Simple as Man Imagines? How Should You Attend to Your Future Mission? What Do You Know of Faith? How Can Man Who Has Defined God in His Conceptions Receive the Revelations of God? As one who believes in God, you should understand that, today, in receiving the work of God in the last days and all the work of God’s plan in you, you have really received great exaltation and salvation from God. All of God’s work in the entire universe has focused on this group of people. He has devoted all His efforts to you and sacrificed all for you; He has reclaimed and given to you all the work of the Spirit throughout the universe. That is why I say, you are the fortunate. Moreover, He has shifted His glory from Israel, His chosen people, to you, in order to make the purpose of His plan fully manifest through you group of people. Therefore, you are those who will receive the inheritance of God, and even more the heirs of God’s glory. Perhaps you all remember these words: “For our light affliction, which is but for a moment, works for us a far more exceeding and eternal weight of glory.” In the past, you have all heard this saying, yet none understood the true meaning of the words. Today, you know well the real significance they hold. These words are what God will accomplish in the last days. And they will be accomplished upon those cruelly afflicted by the great red dragon in the land where it lies. The great red dragon persecutes God and is the enemy of God, so in this land, those who believe in God are subjected to humiliation and persecution. That is why these words will become reality in you group of people. As the work is carried out in a land that opposes God, all of His work is met with inordinate hindrance, and many of His words cannot be accomplished in good time; hence, people are refined because of the words of God. This too is an element of suffering. It is greatly arduous for God to carry out His work in the land of the great red dragon, but it is through such difficulty that God does a stage of His work to make manifest His wisdom and wondrous deeds. God takes this opportunity to make this group of people complete. Because of people’s suffering, their caliber, and all the satanic disposition of people in this unclean land, God does His work of purification and conquest so that, from this, He may gain glory and gain those who stand witness to His deeds. This is the full significance of all the sacrifices that God has made for this group of people. That is to say, God does the work of conquest just through those who oppose Him. Only doing so can manifest the great power of God. In other words, only those in the unclean land are worthy to inherit the glory of God, and only this can give prominence to the great power of God. That is why I say the glory of God is gained in the unclean land and from those who live within. This is the will of God. This is just as in the stage of Jesus’ work; He could only be glorified among those Pharisees who persecuted Him. If not for such persecution and the betrayal of Judas, Jesus would not have been ridiculed or slandered, much less crucified, and thus could never have gained glory. Wherever God works in each age and wherever He does His work in the flesh, He gains glory there and there gains those He intends to gain. This is the plan of God’s work, and this is His management. In God’s plan of several thousand years, the work done in the flesh is in two parts: First is the work of the crucifixion, for which He is glorified; the other is the work of conquest and perfection in the last days, through which He will gain glory. This is the management of God. Thus, do not regard as too simple the work of God or God’s commission to you. You are all heirs of the far more exceeding and eternal weight of glory of God, and this was specially ordained by God. Of the two parts of His glory, one is revealed in you; the entirety of one part of God’s glory is bestowed upon you so that it may be your inheritance. This is the exaltation from God and His plan predetermined long ago. Given the greatness of the work God has done in the land in which the great red dragon dwells, such work, if moved elsewhere, would have long ago borne great fruit and been easily accepted by man. And such work would be far too easy to accept for those clergymen of the West who believe in God, for the stage of work by Jesus serves as a precedent. This is why He is unable to achieve this stage of work of glorification elsewhere; that is, as there is support from all men and acknowledgment from all nations, there is no place for the glory of God to rest on. And this is precisely the extraordinary significance that this stage of work holds in this land. Among you, there is not one man who receives the protection of the law; rather, you are penalized by the law, and the greater difficulty is that no man understands you, be it your relatives, your parents, your friends, or your colleagues. None understand you. When God rejects you, there is no way for you to continue living on earth. However, even so, people cannot bear to leave God; this is the significance of God’s conquest of people, and this is God’s glory. What you have inherited this day surpasses that of all former apostles and prophets and is greater even than that of Moses and Peter. Blessings cannot be received in a day or two; they must be earned through much sacrifice. That is, you must have refined love, great faith, and the many truths that God asks you to attain; in addition, you must be able to set your face toward justice and never be cowed or submit, and you must have a constant and unabating love for God. Resolution is demanded of you, as is change in your life disposition; your corruption must be remedied, and you must accept all the orchestration of God without complaint, and even be obedient until death. This is what you ought to achieve. This is the final aim of God’s work, and the demands God asks of this group of people. As He bestows upon you, so too must He ask of you in return and make of you fitting demands. 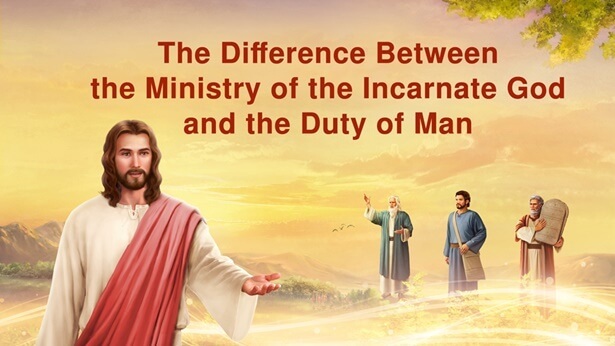 Therefore, all the work of God is not without reason, and from this can be seen why God time and again does the work of high standards and strict requirements. This is why you ought to be filled with faith in God. In short, all the work of God is done for your sake, so that you will be worthy to receive His inheritance. This is not so much for the sake of God’s own glory but for the sake of your salvation and for perfecting this group of people deeply afflicted in the unclean land. You must understand the will of God. And so I exhort the many ignorant people without any insight or sense: Do not test God and resist no more. God has already endured all suffering that man has never endured, and long ago suffered more humiliation in man’s stead. What else can you not let go of? What could be more important than the will of God? What could be above God’s love? It is already a task doubly arduous for God to carry out His work in this unclean land. If man knowingly and willfully transgresses, the work of God will have to be prolonged. In any event, this is not in the interests of any, and is of benefit to none. God is not bound by time; His work and His glory come first. Therefore, however long it takes, He will not spare any sacrifice if it is His work. This is the disposition of God: He will not rest until His work is achieved. Only when the time comes that He obtains the second part of His glory can His work be drawn to a close. Should God be unable to finish throughout the universe the work of the second part of His glorification, His day will never come, His hand will never stray from His chosen, His glory will never come upon Israel, and His plan will never be concluded. You should see the will of God and see that the work of God is not as simple as the creation of the heavens and earth and all things. For the work of today is to transform those who have been corrupted, who have grown extremely numb, and to purify those who were created then worked on by Satan, not to create Adam or Eve, much less to make the light or create all manner of plants and animals. His work now is to make pure all that has been corrupted by Satan so that they may be regained and become His possession and become His glory. Such work is not as simple as man imagines the creation of the heavens and earth and all things to be, and it is not akin to the work of cursing Satan to the bottomless pit as man imagines. Rather, it is to transform man, to turn that which is negative into the positive and to take into His possession that which does not belong to Him. This is the inside story of this stage of God’s work. You must realize it, and should not oversimplify matters. The work of God is unlike any ordinary work. Its marvel cannot be conceived by the mind of man, and its wisdom cannot be attained by such. During this stage of His work, God is not creating all things, and He is not destroying them. Rather, He is changing all of His creation and purifying all things that have been defiled by Satan. Therefore, God shall commence work of great magnitude, and this is the total significance of the work of God. From these words, do you believe that the work of God is so simple?